Convert virtually any 1/4"-20 mounting screw to a 3-prong mount with the Action Camera Universal Mount to 1/4"-20 Adapter from PGYTECH. Use it to convert selfie sticks, mini tripods, and various other support accessories. 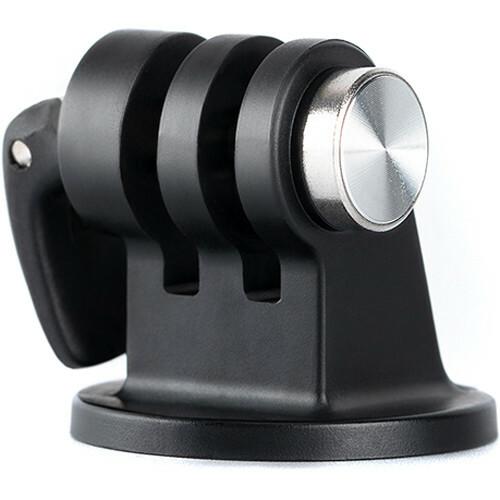 The adapter features a 1/4"-20 female on the bottom and 3-prong mount with a lever on top. Pull the lever up half way to loosen it and tilt-adjust your load, or pull it up or down all the way to lock or unlock it. The lever enhances this bracket with easy, quick release functionality. Box Dimensions (LxWxH) 2.6 x 2.6 x 1.4"